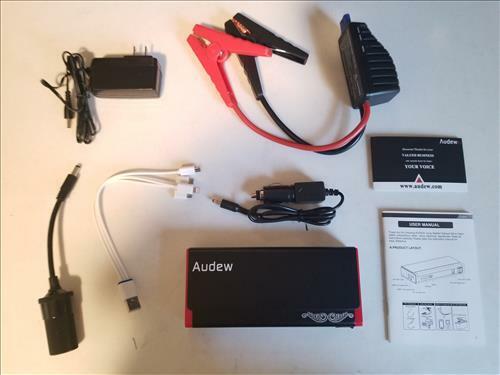 The Audew is an Emergency Power Bank with a vehicle Battery Jump Starter that is easy to store away until needed. This makes it a good unit in many scenarios from camping to simply storing away in the trunk for an emergency battery boost. 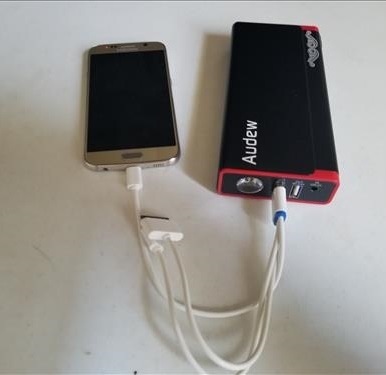 It can charge almost any device from a smartphone to a laptop along with jumper cables for a car or truck battery. Everything comes packed into a hard case with a zipper to hold it shut. Opening the case all the components are packed neatly inside. 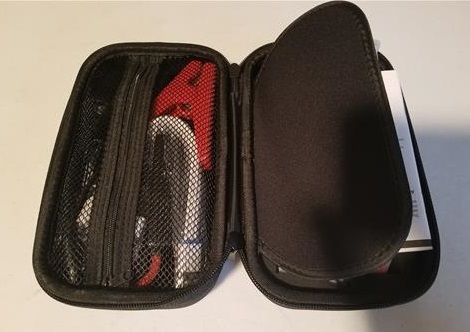 Inside the case is the power bank along with a wall charger, cigarette lighter charger and adapter, jumper cables, smartphone charging cables, and user manual. 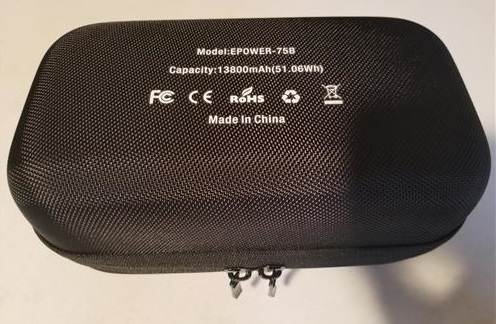 The power bank is a square unit. The front has the power button and LED lights to shows the charge state of the battery. There is also 2 outputs for the jumper cables or cigarette lighter adapter. The tip has a built-in flashlight, 2 USB charging ports, and a port to charge the power bank internal battery. The 2 USB slots make it easy to charge a smartphone, tablet, or most any small electronics. Three smartphone charging cables are included including Micro-USB for Android and Lighting for Apple devices. Of course, most will already have a USB charging cable that can simply plug into one of the USB slots for a charge. 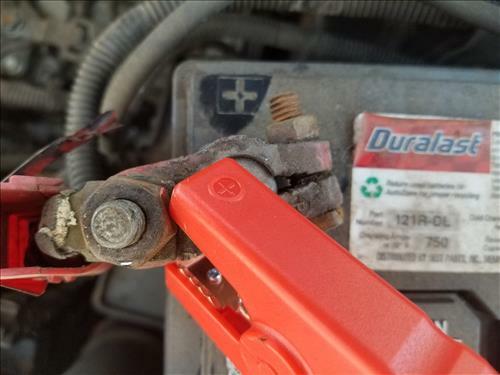 The vehicle battery jump starter has 2 clamps for negative and positive battery terminals. Be sure to get the terminals correct when hooking to a battery Red for Positive, and Black for the Negative battery post. The clamps do have a safety to show they are hooked up correct along with a Boost button. 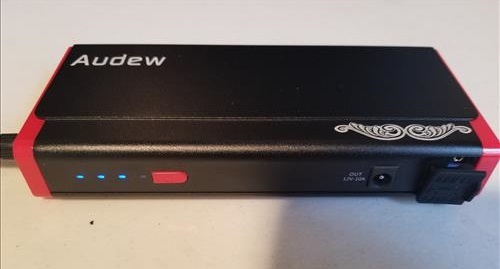 The power bank has a Peak 600 Amp load for starting a car or truck with a dead battery. When using a power bank to start a vehicle with a dead battery I always let the bank charge the dead battery for 5-10 minutes before trying to start the car. 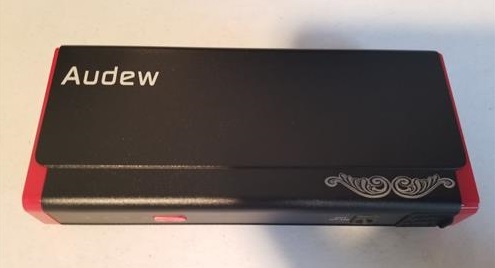 This may be unnecessary but does help in my opinion since the dead battery has received a charge and a lot of voltage/amps will not need to be pulled through the cable wires. How many times it can start a car or truck with a drained battery will depend on many factors from the state of both batteries to the size of the engine. 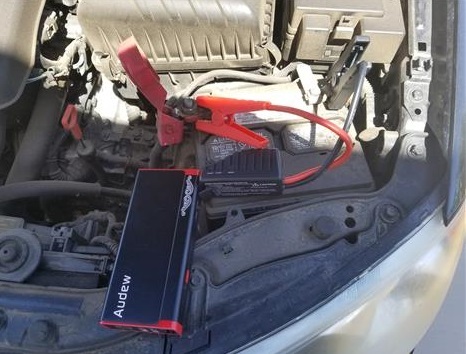 A small car with a slightly drained battery and the Audew power bank at full charge will likely start such a car at least a few times. A big truck with a very dead battery will likely get 1-2 jumps. Charging the power bank periodically, or at least once a month, to keep it in a full state of charge will be a good idea for an emergency. 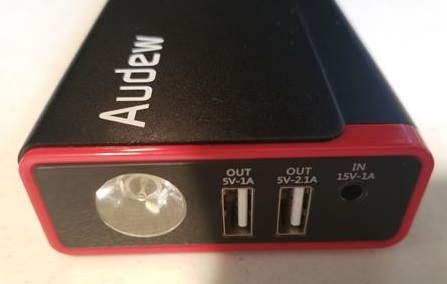 Power banks such as the Audew are not really thought of until there is a problem, then they come in very handy. One nice thing I like about portable jump starters is when someone else needs a jump and wants to hook to my vehicle. 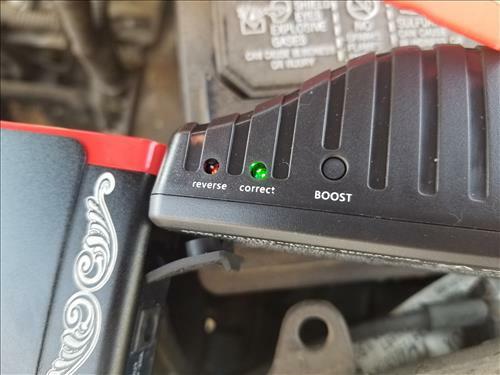 As many know new vehicle computers can be damaged if the other car after starting sends a spike of voltage back to the helping vehicle. While I have not had any issues yet having a portable unit to help others is a nice thing to have when needed.